Makes 2 cups spread or 16 servings, 2 Tbsp. 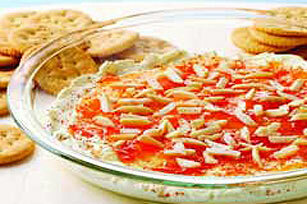 spread and 5 crackers each. Cute, right? Squirrel this recipe away for your next party: A creamy mix of five cheeses plus Dijon mustard and almond slices will have guests pining for more. Process first 3 ingredients in food processor until well blended. Stir in chiles. Shape into 4-inch oval on sheet of waxed paper to resemble pinecone. Insert nuts in rows to completely cover cream cheese mixture. Transfer to serving plate. Refrigerate 2 hours. 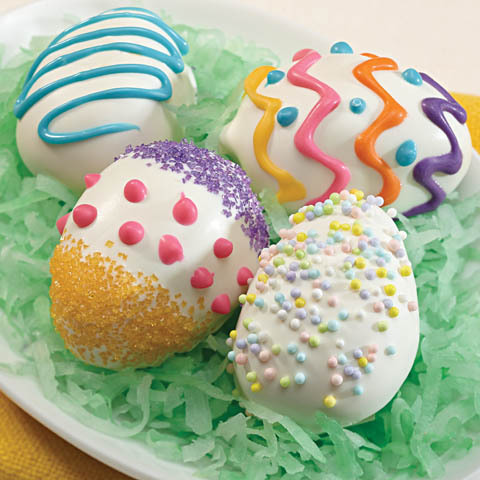 Remove from refrigerator 15 min. before serving. Let stand at room temperature to soften slightly. 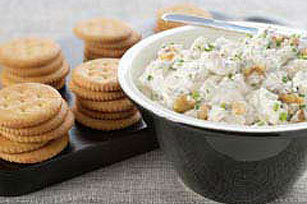 Serve with crackers. Size-WiseEach 2-Tbsp. 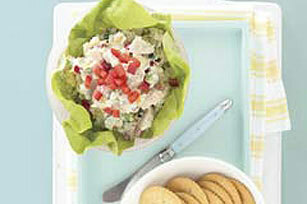 serving of this spicy spread packs a flavor punch. 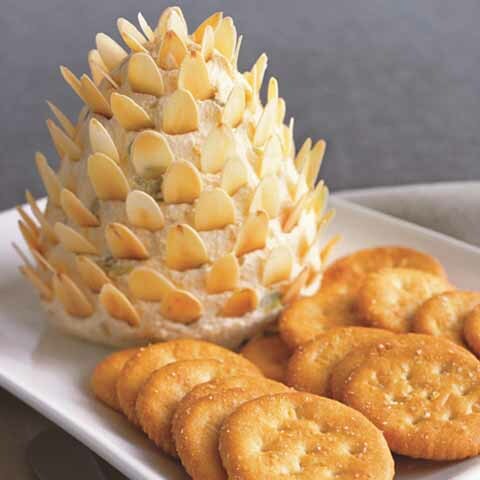 Variation Prepare using one of the following options: Serve with RITZ Snowflake Crackers. Or, add 1 tsp. hot pepper sauce to cream cheese mixture before shaping as directed. 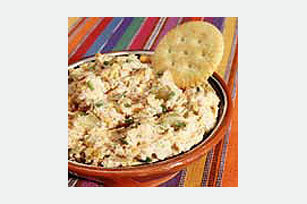 Make AheadCheese spread can be stored in refrigerator up to 5 days before serving as directed.